Phonepe July Cashback Offer - Send Money To Phonepe Users and Get Cashback Upto 150 Rs. Phonepe July Cashback Offer - Flipkart UPI Payment Wallet App Phonepe is offering exciting cashback offers on sending money to your Phonepe friends and get assured cashback of worth 150 Rs. Send minimum 500 Rs to 10 different users of phonepe and get 50 Rs Cashback in your Phonepe wallet. Phonepe July Cashback Bonanza is also offering cashback offer where you can transfer minimum 500 Rs to 20 different phonepe users to get 150 Rs Cashback. Offer is valid from 9th July to 15th July till 11:59 Pm. Phonepe cashback offer is valid for Phonepe users if they are using the UPI mode that means using the VPA i.e. Virtual Private Address of the Phonepe users. Like if you want to pick the first offer of transferring money from your phonepe wallet to ten different users to be eligible for this offer then you should have to use their VPA ID aka UPI ID. However, you have to send/transfer minimum 500 Rs to those ten users to get the assured cashback. The "phonepe cashback offer" is valid only sending money to phonepe app users. You have to use their UPI ID to send money on Phonepe app. In this Phonepe App July Cashback Carnival, there is also some offer on recharge. Like if you are doing 30 Rs recharge on the Phonepe app then you'll get minimum 30 Rs cashback in your wallet. Now Go to Send Money Option. Ask the UPI ID or VPA ID of Phonepe of your friends. Now Send Minimum 500 Rs to them. After 10 and 20 Successful Transactions during this Cashback offer period. You'll get 50 Rs and 150 Rs Cashback respectively in your Phonepe wallet. Now if you send minimum 500 Rs to your Linked Phonepe bank accounts. Then you'll surely get 50 Rs Cashback in your phonepe wallet. To avail the cashback up to 150 Rs in your phonepe wallet then you have to follow all the below steps carefully. And have to choose all the "Phonepe June Cashback Carnival" Offer. 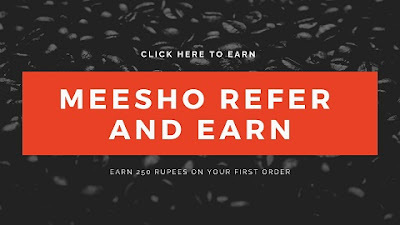 Whether it is sending money to 10 different users of phonepe using their UPI ID or sending money to your linked bank accounts on phonepe or recharging your mobile or buying gold on phonepe. First of all, you have to send minimum 500 Rs to ten different phonepe users using UPI ID. After sending money to 10 different phonepe users you'll get 50 Rs. Cashback in your wallet. Now opt out the second offer, Send money minimum 100 Rs. to your linked bank accounts on Phonepe using UPI ID. After this, you'll get 10 Rs Cashback in your wallet. Now go to recharge section and recharge your prepaid mobile with a minimum amount of 30 Rs. you'll get 30 Rs Cashback in your wallet after doing two consecutive recharges. After this buy Gold on Phonepe of Rs. 10 and get 10 Rs. Cashback. In this way, you'll get up to 150 Rs. in your phonepe wallet. Now after this Login/Sign Up. After this go here PayTm Coupon. After this pay all amount using phonepe cashback. Paytm Voucher will be sent to your Zingoy Registered Email. Now use this coupon/voucher on PayTm Add Money option. Each money transfer must be for a minimum of Rs 500. Money transfer must be to a PhonePe linked Bank account (i.e. between your own accounts linked on the Phonepe App). You will need to have more than 1 bank account linked to your Phonepe app to undertake this transaction. Offer is not eligible for money transfers made to a non-PhonePe UPI ID or to a bank account (using the account number and IFSC code). Money transfer must be done on the PhonePe app and not with any other UPI enabled the application. Join the telegram group and contact us from there !